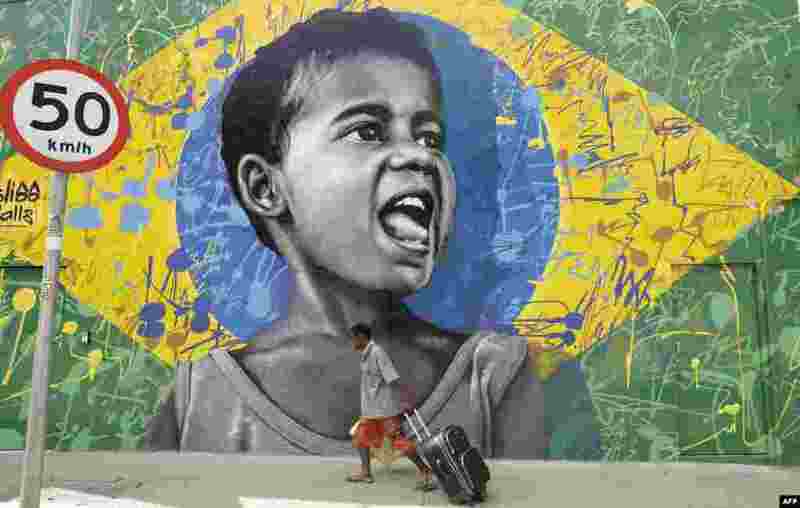 5 A man walks past a wall mural depicting a child superimposed on a representation of the Brazilian national flag, in Sao Paulo, Brazil. 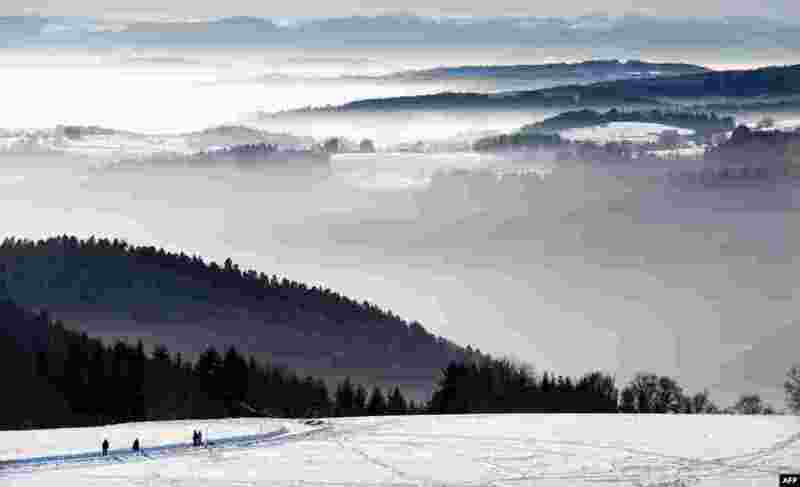 6 People walk on a snowy landscape as the Swiss Alps are seen in the background and mist partly covers the alpine upland near the southern German town of Höchenschwand. 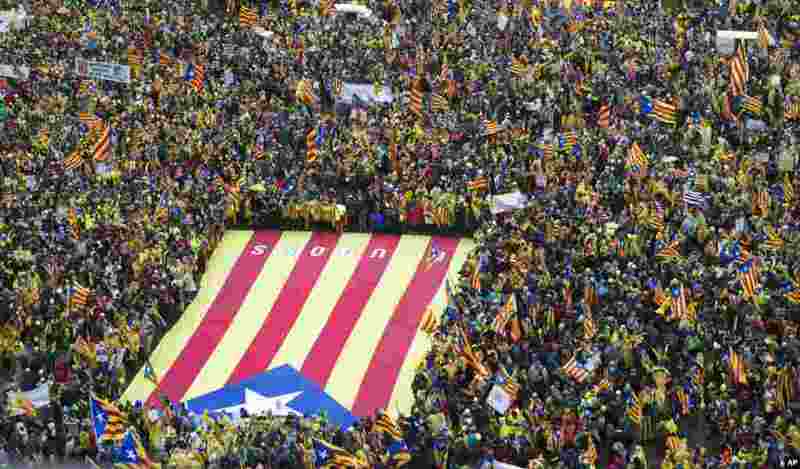 7 Pro-independence Catalan supporters gather to begin a demonstration near the EU quarter in Brussels. 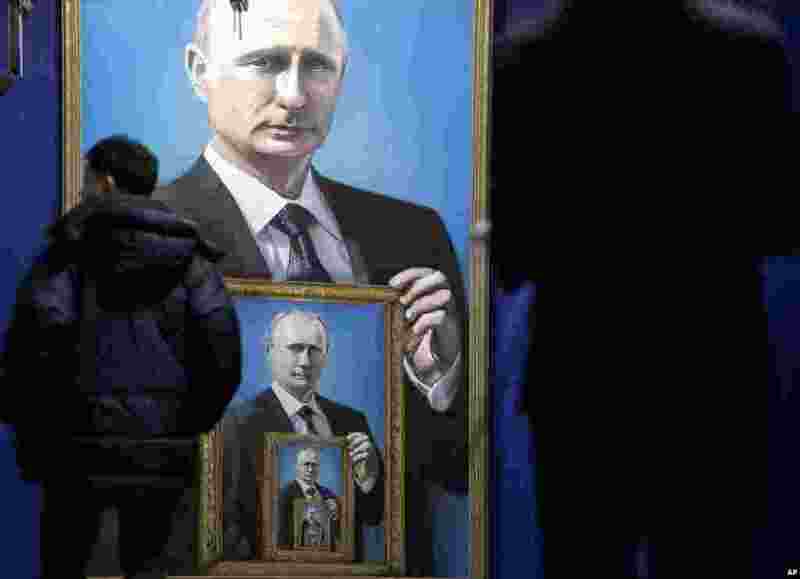 8 Visitors look at paintings of Russian president Vladimir Putin at the "SUPERPUTIN" exhibition at the UMAM museum in Moscow, Russia.